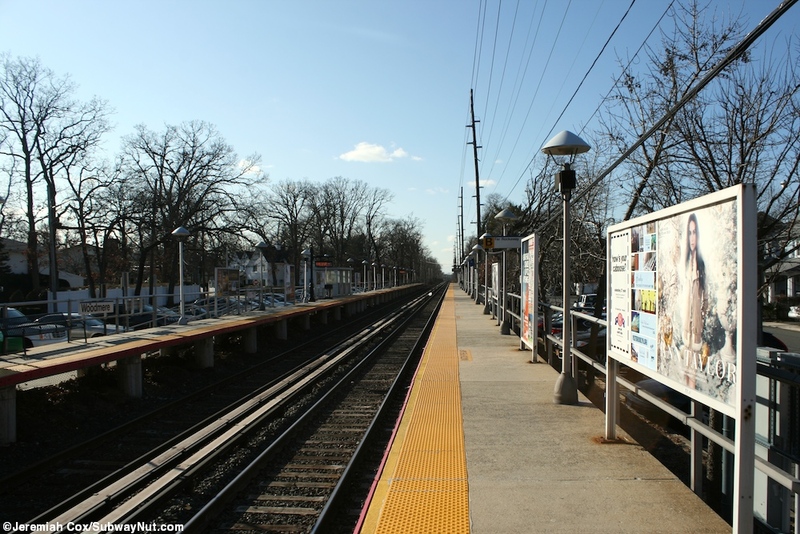 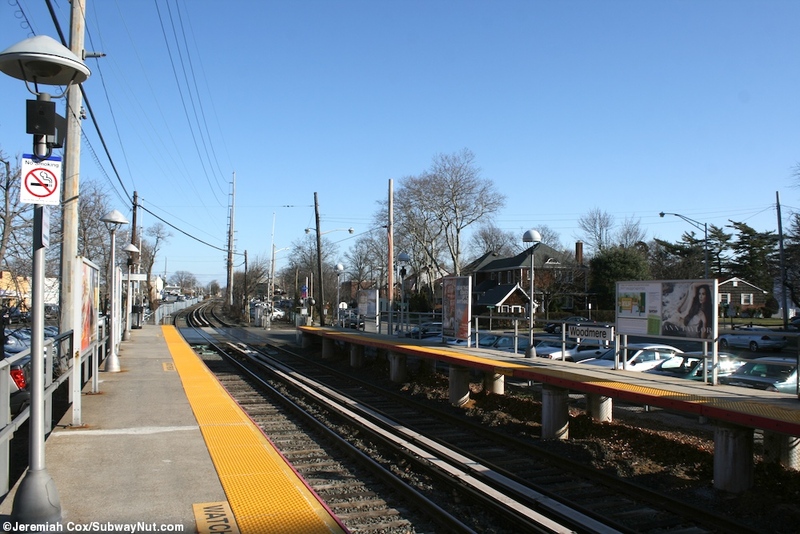 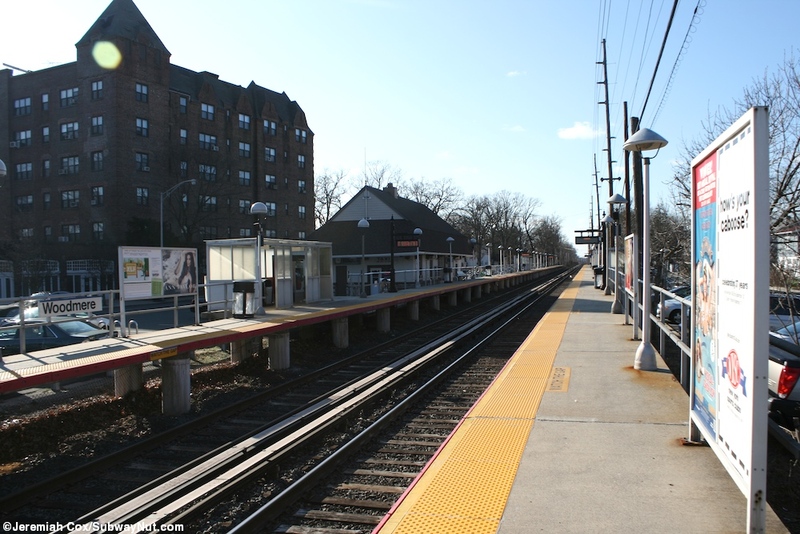 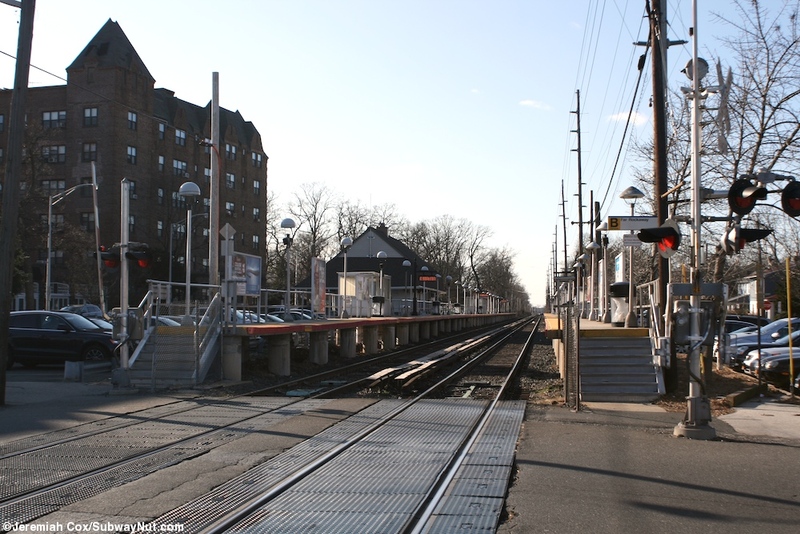 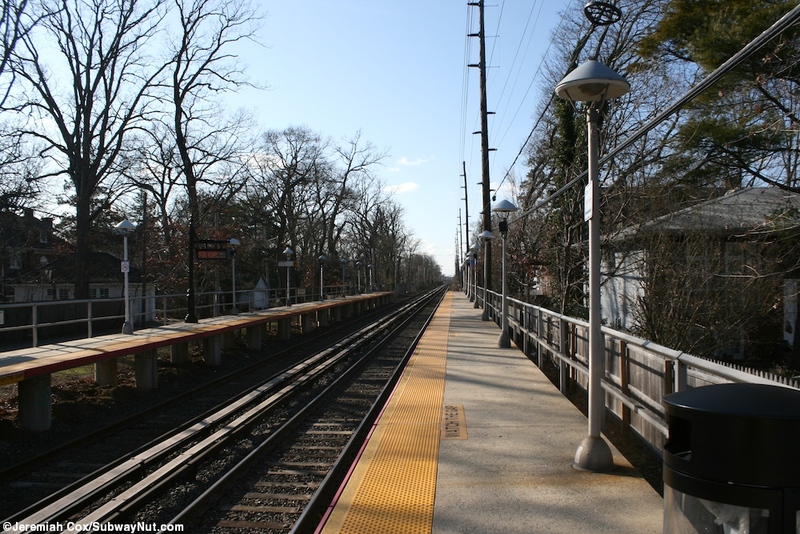 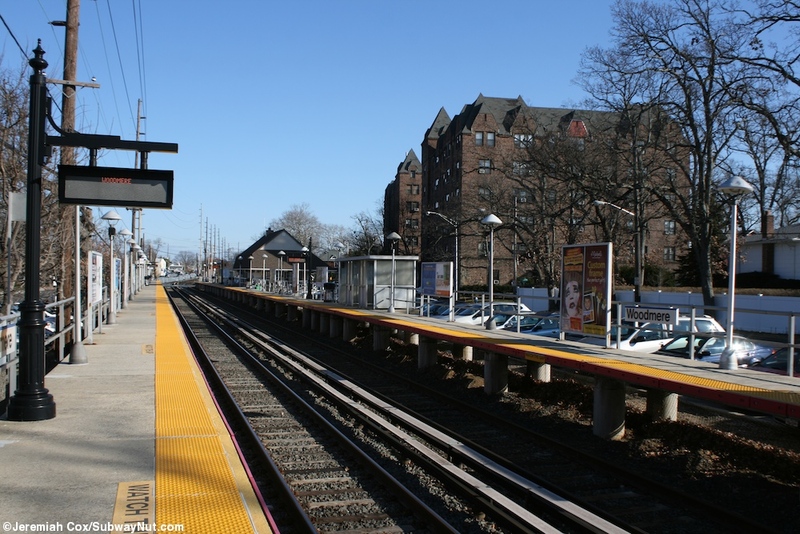 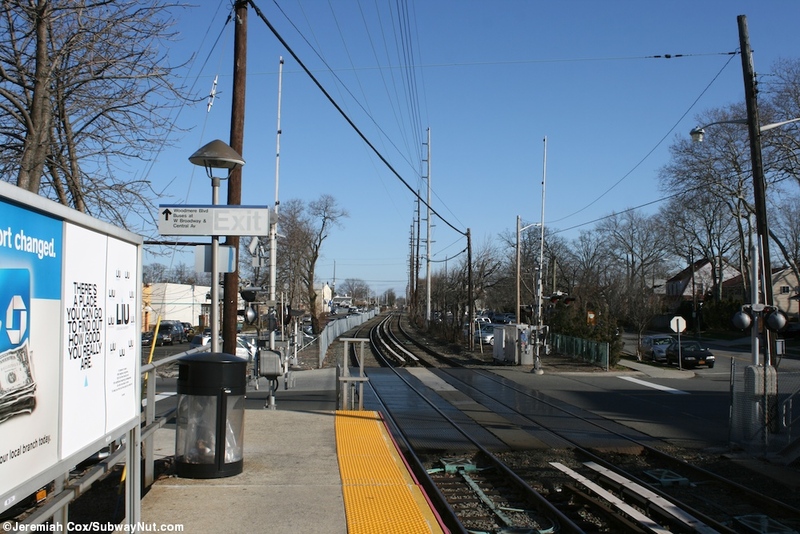 Woodmere is a stop on the grade-level Far Rockaway Branch. 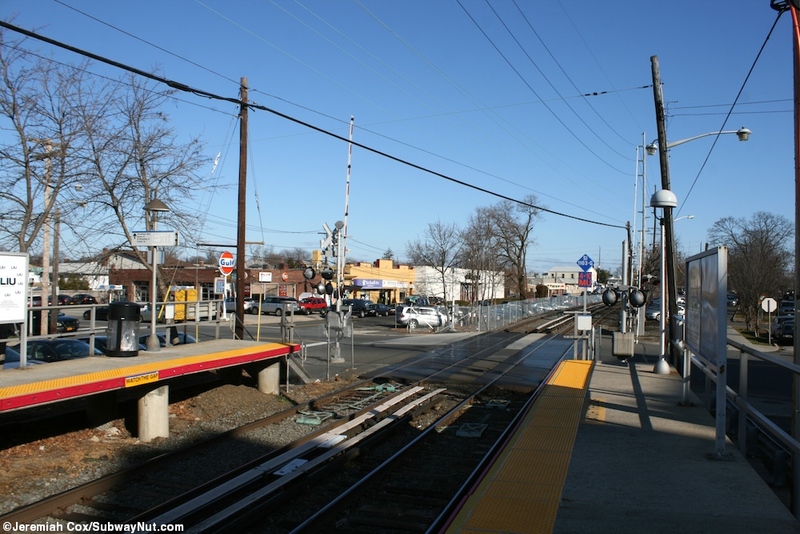 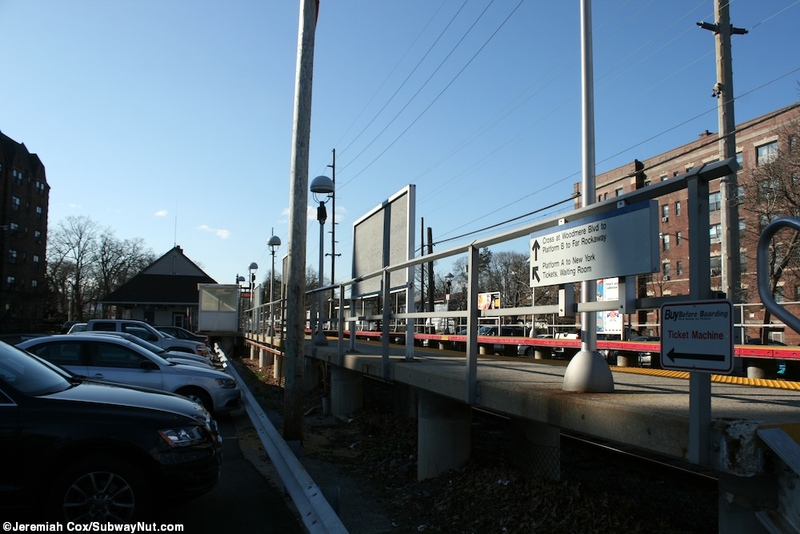 The station has two side platforms that begin at and extend south from the grade crossing with Woodmere Blvd. 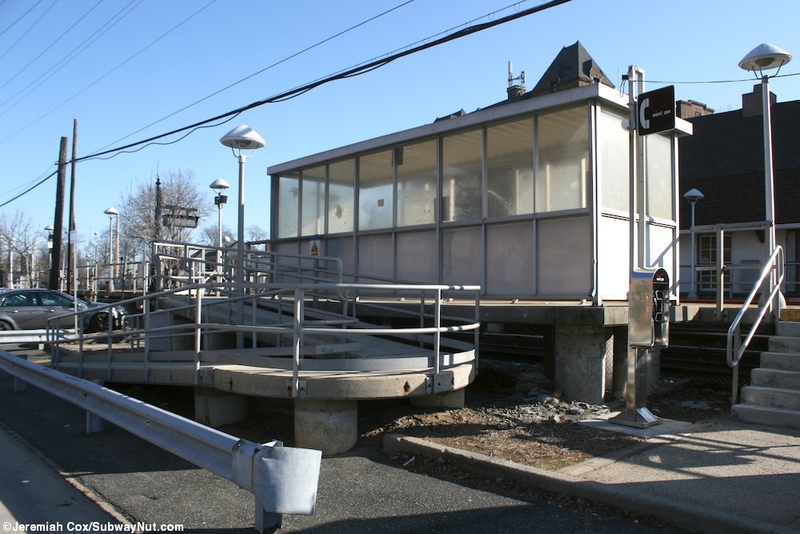 They were built around 1968 with the introduction of the M1s and look like all other high-level LIRR platforms from that era. 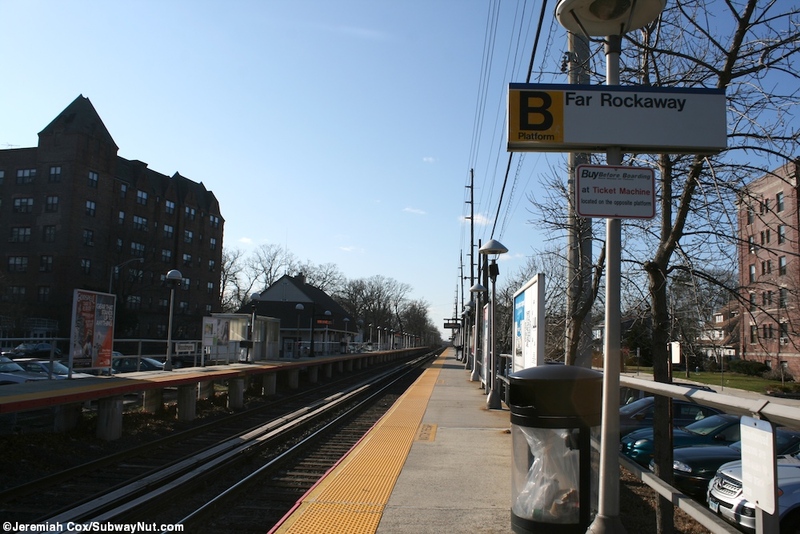 The Far Rockaway-bound platform has Station Plaza along most of it with numerous staircases and a ramp (for ADA compliancy) up to it from a single lane of parked cars along it. 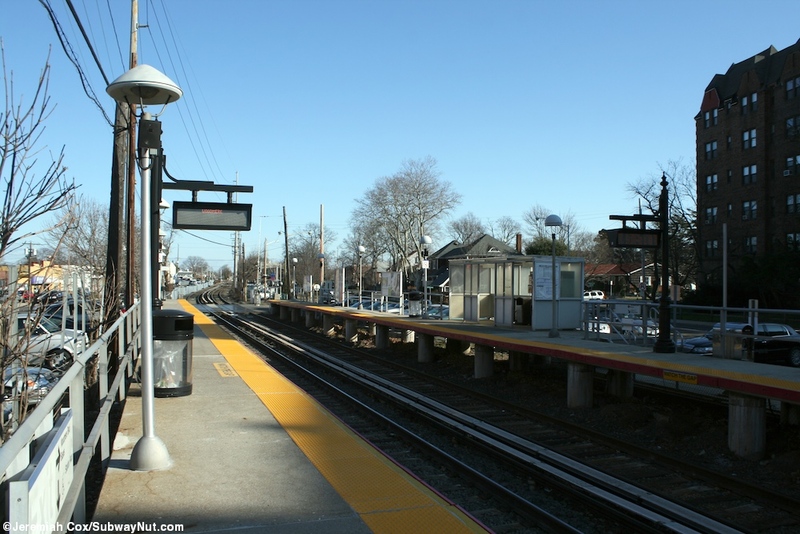 For shelter for waiting passengers there is a single metal one standard of these LIRR stations. 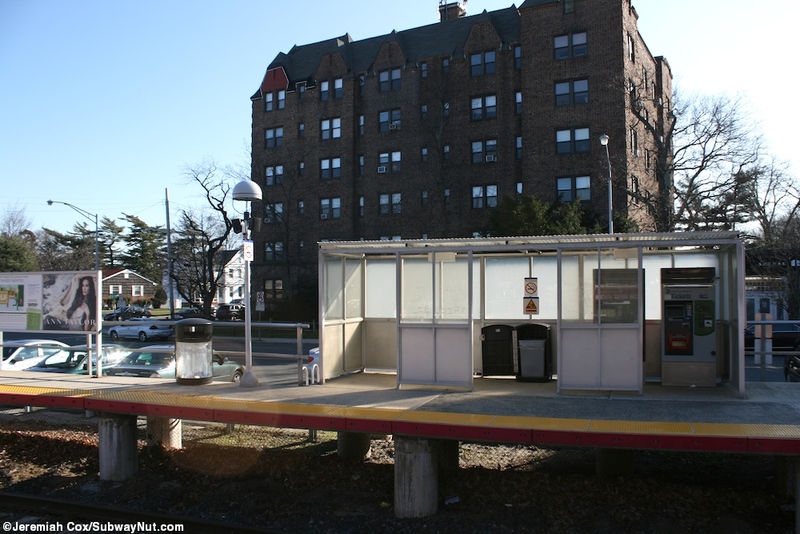 The New York-bound platform has two of these shelters, one containing the station's two TVMs. 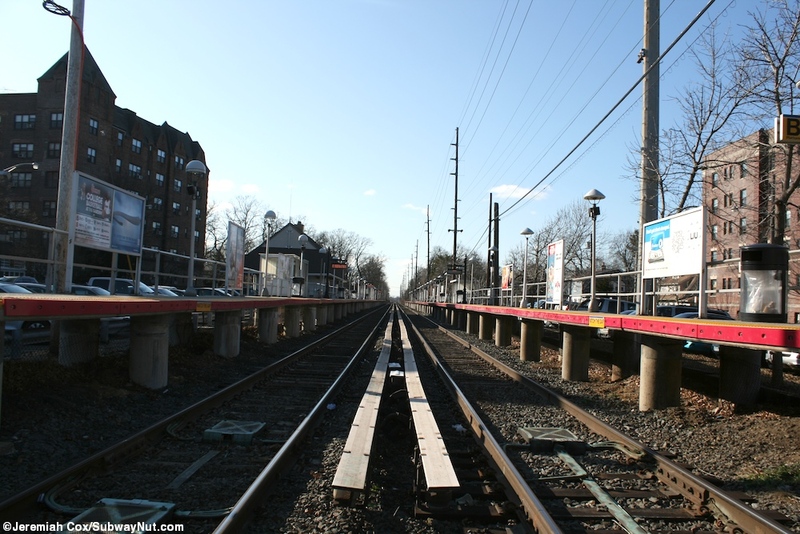 It is accessed from numerous staircases from Cedar Lane that has a single lane of angled parking spaces for parking, and extends both south and north of the station following the railroad. 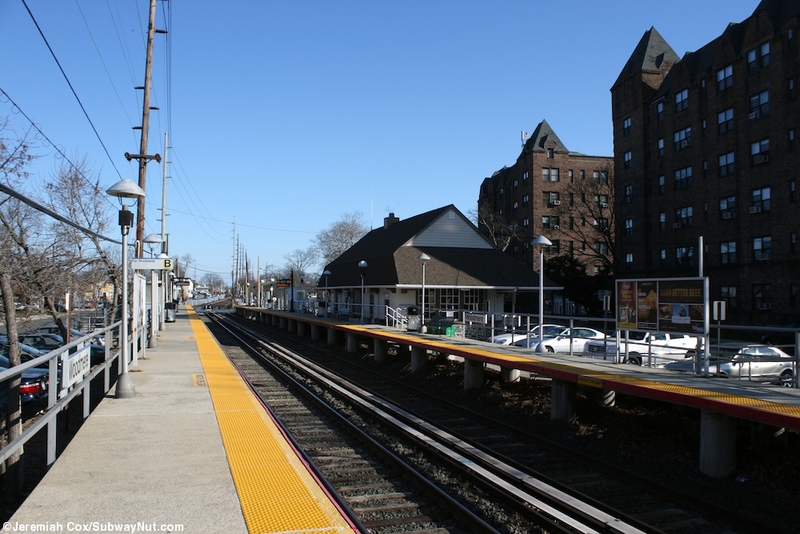 Along Cedar Lane, just set back from the high-level platform is the historic station depot built in 1902 (Trains are Fun, LIRR Station History). 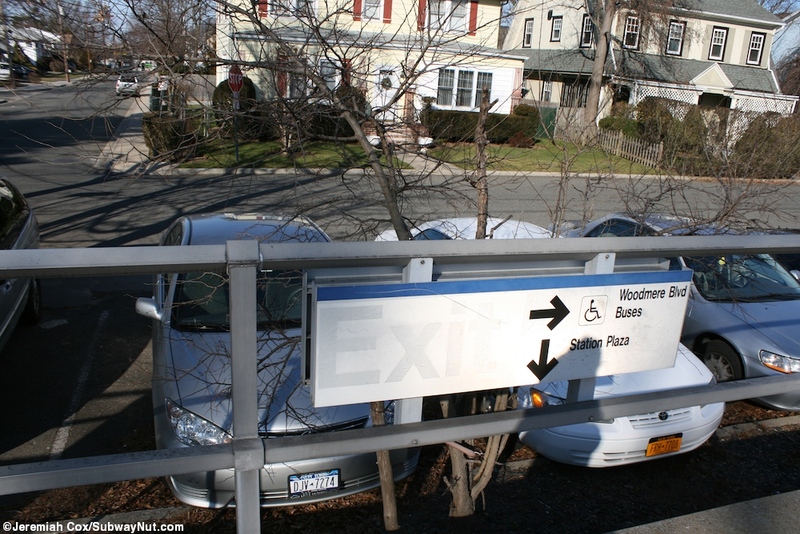 This quite large two-story depot contains a Taxi dispatcher with its own entrance for Woodmere Taxi and a waiting area with the now sealed ticket window open until August 2009 (TrainTalk Archive). 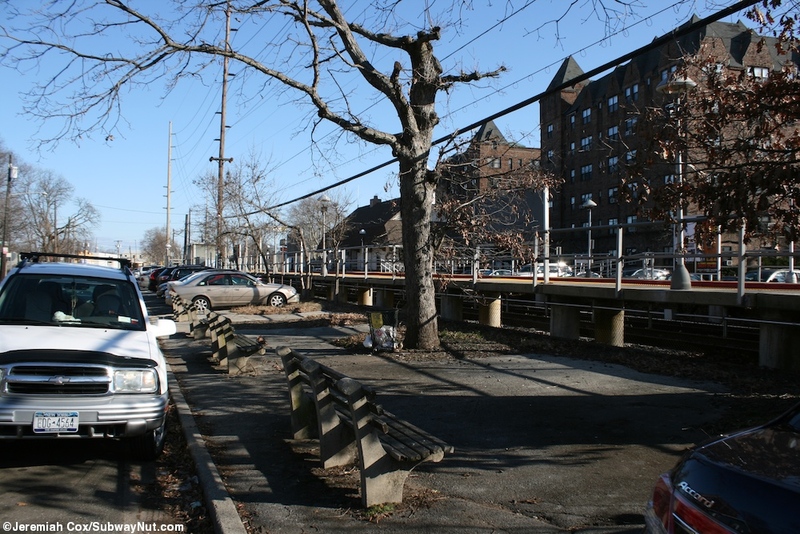 The room has some built in benches along the walls including one inside a curved windowed area. 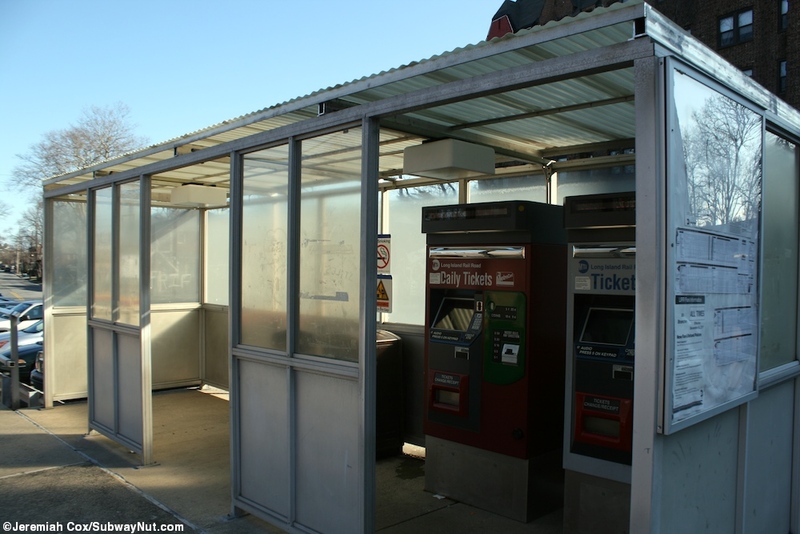 It was recently restored with the area where the ticket window once was with panels engraved with Notices written inside them. 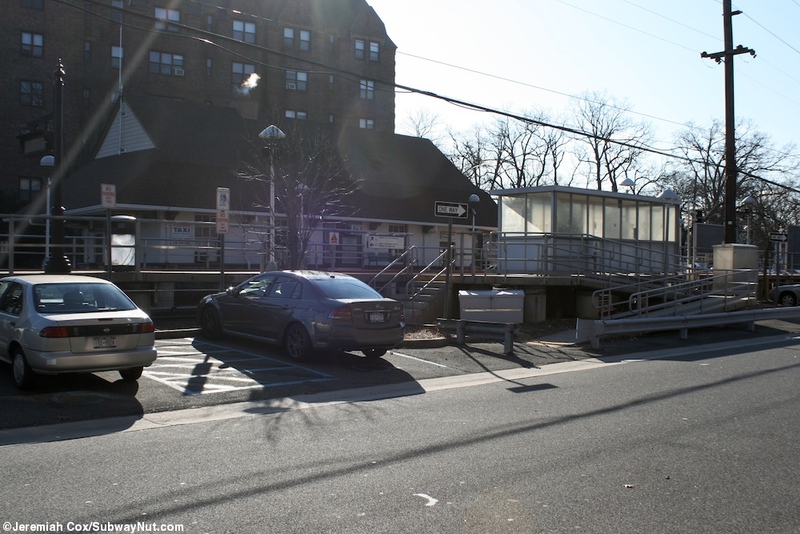 There is also a restroom. 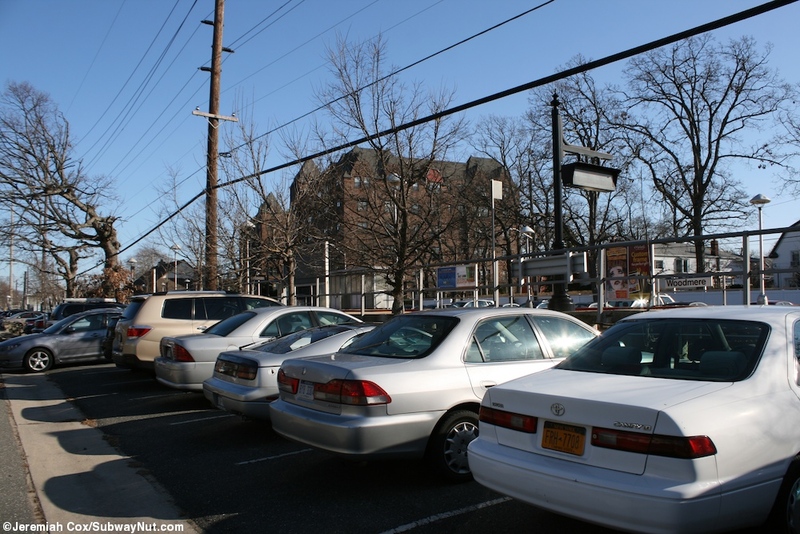 The depot is open 6am to 8pm Monday to Friday (The MTA's website incorrectly states 6am to 2pm).